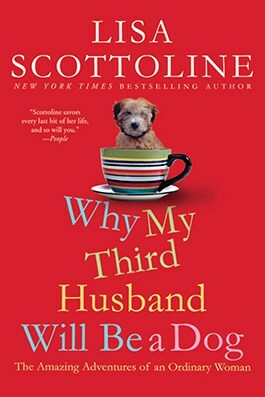 The New York Times bestselling mother-daughter team returns with a new collection in the series that Oprah Magazine calls the “Perfect Summer Must-Read,” of funny and relatable true stories in the everyday lives of modern women. 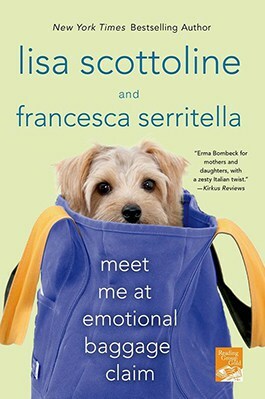 Lisa and Francesca give their multigenerational take on a variety of topics, from the terrors of Tinder to the indignities of the gym, and from fleece as formalwear to playing the lotto as financial planning, sounding like two girlfriends you’ve known your whole life. 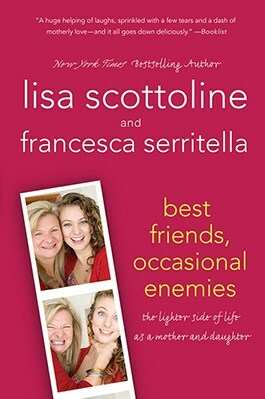 As with all mothers and daughters, Lisa and Francesca sometimes joke, sometimes fight, but always love their way through life’s best and worst moments. 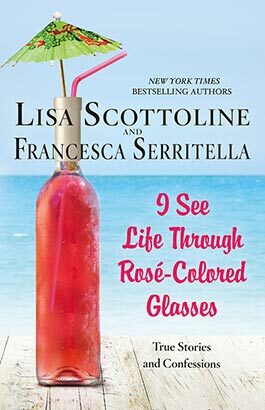 You’ll laugh along with them, and when you finish, you will want to share the fun with your mother, daughter, or best friend. 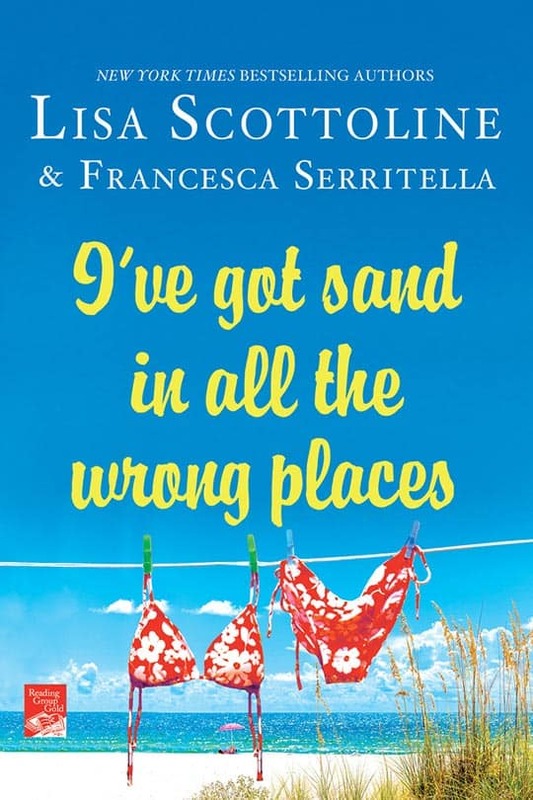 So join Lisa and Francesca as they travel from the beach to the city to the suburbs and all the places in between, exasperating, supporting, and enjoying each other along the way. It is our reward for three seasons of going full speed, twenty-four/seven, in a world that is too complex and way too fast. We all need a break, especially mothers. All year-round, we have to get everybody ready in the morning, while we pack lunches and nd somebody’s missing sneaker. But it’s summertime, and we get a breather and if we’re lucky, an actual vacation. During which we get everybody ready in the morning, while we pack lunches and nd somebody’s missing sneaker. But at least we do it in a nicer place. To me, the best part of summer is that the entire world relaxes just a bit, letting down mentally, easing o the gas emo- tionally. That’s what we all truly need, a July of the mind. A time to wear mental flip-fops. An excess of wasted time. To me, the best part of summer is the beach. Every time I drive into a shore town, I can feel my mood lift and my spirit lighten. I drive into town, past the saltwater-taffy and fudge stores, then the swirly-custard stands, fried-clam joints, and the drugstores that sell suntan lotion, where the only bottles left will have an SPF of 2 or 18326. I know I’m at the beach when I pass my favorite store, which is the one that sells inflatable toys for kids, so outside will be oversized inflatable alligators, puffy rings like multicolored Life Savers funky boogie boards, and foam noodles growing out of a barrel like so many Gerbera daisies. Minus the Gerbera daisy part. The salt air, the warm sun, the happy smiles; all of it is the stuff of summer. And the great thing is, I feel that way whether I’m on vacation or not. 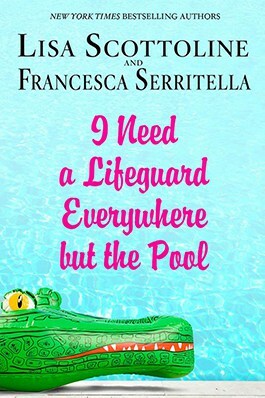 In fact, Francesca and I go on book tour every summer to promote these books, and even that feels like a vacation, just because it’s summertime. We drive around together, switching off on the driving and making our way through Rehoboth Beach, Bethany Beach, the Hamptons, Mystic, Connecticut, and Westerly, Rhode Island. We even took three ferries during our last tour, and this year we’re expanding to Virginia Beach and Cape Cod beaches. We might even take a paddleboat. And that’s the point of this little book, come to think of it. 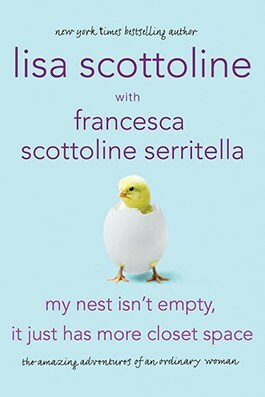 It’s the seventh in this series, which Francesca and I have written about our lives alone and together, as mother and daughter. We’re really ordinary and normal, and the more you read about us, the more you’ll see your own life and your own families reflected herein. Except that you probably behave better. Because although our relationship is wonderful and we are truly each other’s best friends, that doesn’t mean we don’t fight. I’m here to say that we have fought our way through beaches along the East Coast and, as I mentioned above, we’ll soon be expanding our fighting to Virginia and Massachusetts. Yay! Even in summertime, there will be problems. You’ll get in fights with your kids. Or you’ll get in fights with your mother or father. Everybody knows that a family vacation is hardest on the family. Also, things will go wrong, like the weather won’t cooperate. You’ll find yourself with five days of vacation and four days of clouds, which means you’ll stare at your phone, laptop, or television, mentally calculating how much it’s costing you to be depressed in a new location. Plus, you’ll find yourself spending way too much time in the local grocery store, which will gouge you on price. Also the drugstore, which will gouge you on price. And any restaurant, which will gouge you on price. Finally, you will get sand in all the wrong places. You’ll get sand in your sneakers. You won’t be able to shake all of it out. 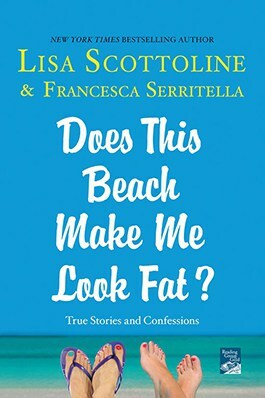 You’ll get sand stuck in the elastic in your bathing suit. You won’t be able to rinse all of it out. You’ll even get sand in your hair, blown by the wind o the sea onto your very scalp. You won’t be able to wash it out. The sand will come back to the rental house with you, where it will fall on the floor, and when you drive home, it will be in the well underneath the gas pedal. You will track it inside your own house, and you will feel a grittiness under your toes in your very own bedroom, maybe even your sheets. Don’t let the sand bother you. And above all, don’t nag each other about it or whine about it, because that misses the point. Think of the sand as fairy dust. It’s a magical sprinkling of a summertime mood. If you’re lucky, the sand will always be with you, wherever you go. A gritty little reminder under your feet. Summer is truly a state of mind. If you keep that with you at all times—by that I mean, the mentally easing of worry, the emotional letting go, and more smiles in general—you will have a happier and healthier year. Until summer rolls around again, and you get to go back to the beach. To bring home more sand. 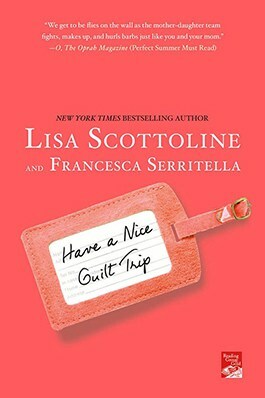 Lisa Scottoline and Francesca Serritella in the recording studio creating the audiobook for I’ve Got Sand In All The Wrong Places. 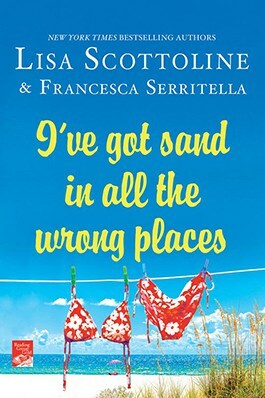 Lisa and Francesca talk about I’ve Got Sand In All The Wrong Places on Good Morning America.